I have spent the last week re-making two of Terra Australis quilt samples. All the samples we unfortunately lost on the trip back to Australia. They should be found but unfortunately not quick enough for the Australian Quilt Market which is on this weekend in Melbourne. Ella Blue has added all the designs from Terra Australis to their website. Pop on over and check out the range. 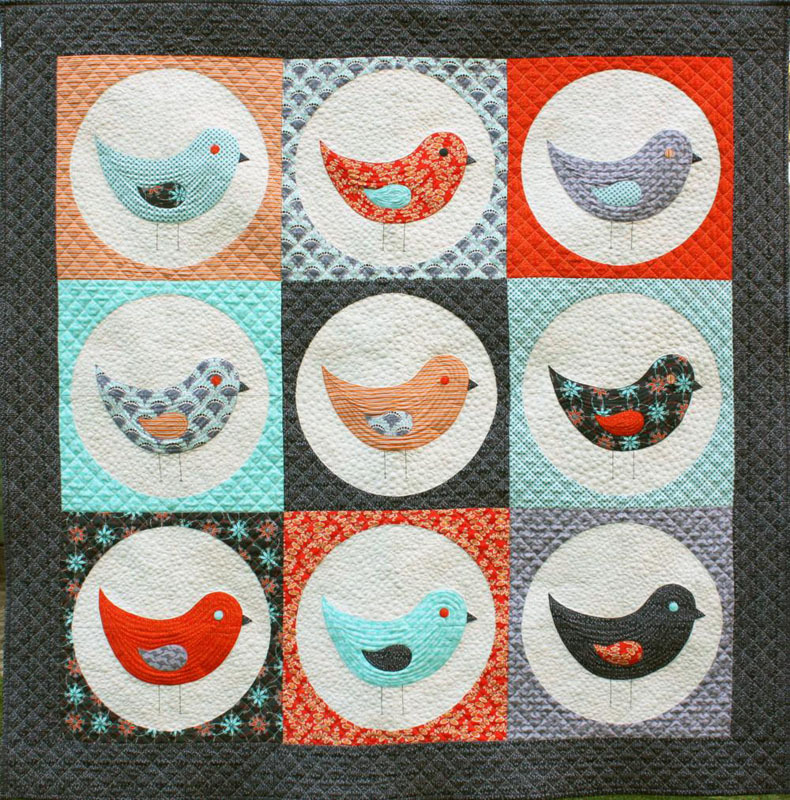 One of the quilts I re-made was Nine Birds. The quilt just suits the Terra Australis range perfectly. 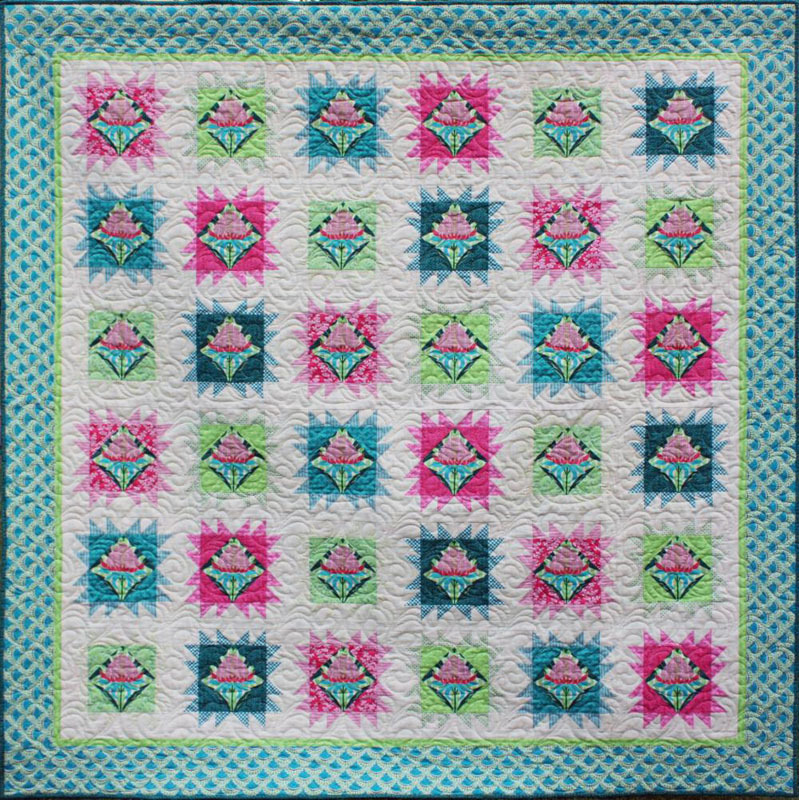 Another quilt I re-made is Waratah Crowns. This uses the main print from Terra Australis which is perfect for fussy cutting. I also spotted a giveaway that had some Terra Australis Fat Quarters. Head on over to the Crazy Old Ladies Blog and comment for a chance to win! Nena: Those birdies are TOO CUTE! Vicki Ottaway: Hello Emma. Could you tell me who your wholesaler is that distributes your fabrics.